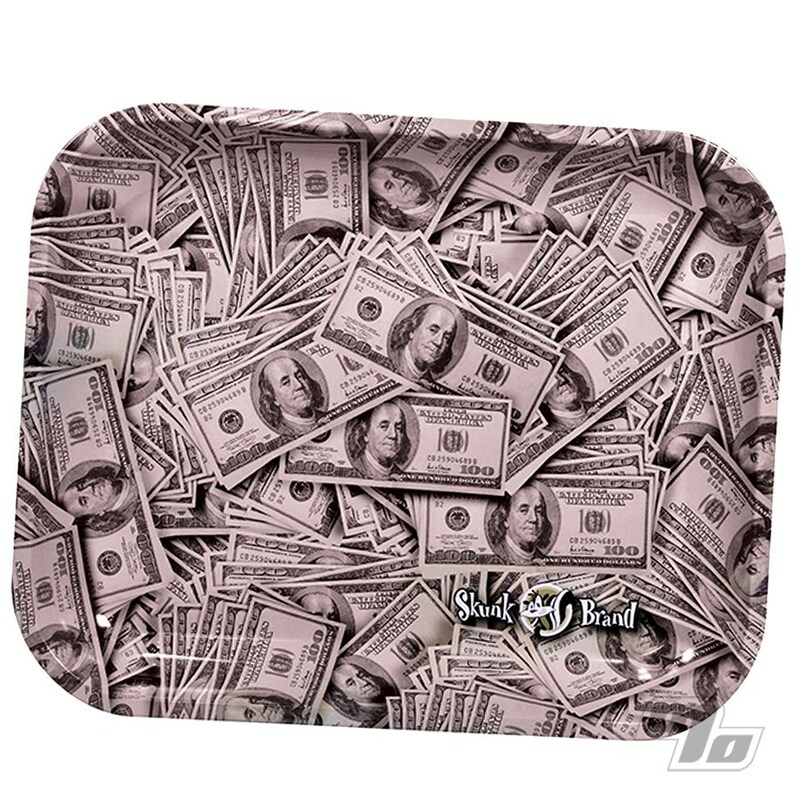 If don't have the money to roll up on a pile of cash, Skunk Brand has you covered. 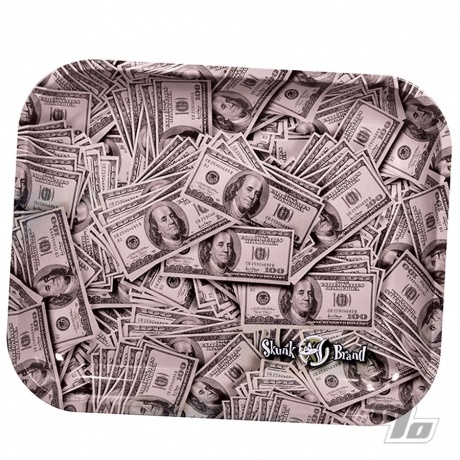 This new rolling tray Skunk Brand Rolling Papers demonstrates where a picture is worth a $1000. Fill up your Skunk cones, wraps and/or roll ups with the Benjamins. Skunk delivers a classic large metal rolling tray with curved edges to hold all your gear while you roll. Coming in at 11 x 13.5 inches and 1.5 inches deep, you have a huge surface to work yet still easily fits in your lap.